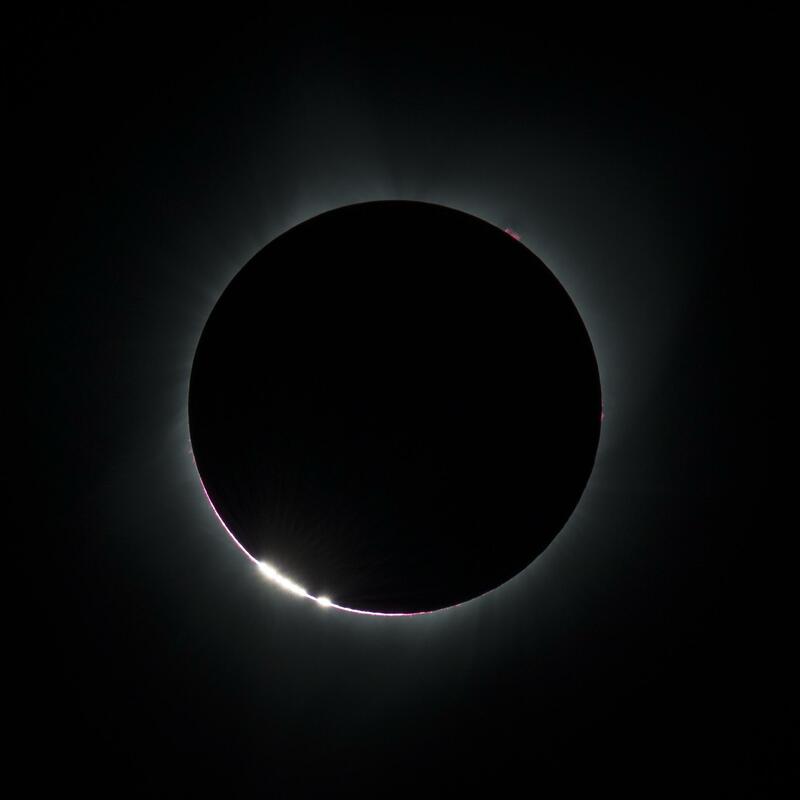 Why is Solar Eclipse Such a Rare Event? Solar Eclipse is a beautiful and rare event. The last solar eclipse in the United States was on the 21st August 2017 and it was the first one of its kind in 99 years. For example, the next solar eclipse that will be visible in the United Kingdom will be in 2090. Why can’t we enjoy this natural phenomenon more often? The answer to this question is a combination of coincidences which don’t happen that often. Keep in mind, here we talking about a total solar eclipse. So, the Moon travels between the Sun and the Earth and this happens more often than you think. It actually happens once a month. However, since the Moon’s orbit is slightly tilted compared to the Earth’s orbit around the Sun, the Moon is often too low or too high in the sky, and it doesn’t get in the way of the Sun’s light. Every 18 months, the Moon lines up directly between the Sun and the Earth. That’s when the Moon casts a shadow, which causes a total solar eclipse. The Sun is approximately 400 times bigger than the Moon, but the Sun is also 400 times further away from the Earth, that’s why they seem to have the same size when observed from the Earth. The moment when the Moon is fully covering the Sun, can be visible only in a certain part of the Earth. This mainly depends on the perfect geometry between the Sun, the Moon and a certain part of the world, for example only the norther part of the USA, while in the southern part of the country the Moon can cover only one small part of the Sun. This seems like it’s magic, but it’s only science. Were We Contacted by Aliens in 1977? Stephen Hawking said if aliens send us a signal or try to communicate with us, we should not respond. Hey, we are already looking for an alternative planet, what makes us think that advanced aliens are not looking for the perfect alternative as well. However, we are curious as a species! We wonder, are we alone? Is there another civilization somewhere in the universe? In the 60s, we decided to search for a signal from the universe. Radio telescopes examined the sky, searching for a signal that might come from an intelligent alien civilization. However, for years nothing significant happened. But one day in 1977, a radio telescope received a signal! The signal fitted our profile of an alien transmission and all other explanations have been ruled out. The signal did not have the same frequency as a transmitter on Earth and it was too narrow to come from some natural sound. Scientists tried to explain the sound with anything else we know so far and nothing could explain that strange sound. What made the sound even more mysterious is the fact that it was never heard again. We have been looking for that sound for decades, but we’ve had no luck. Do we want to hear that sound again? Are You Qualified to Become an Astronaut? Many dream of becoming an astronaut, but it’s not an easy job to get and definitely not an easy job to perform. To go into space is a privilege that needs to be well deserved. An astronaut goes through rough physical training and he needs to be mentally fit as well. For starters, working and living in zero gravity does not look easy. Perfect vision, no medical conditions, and a strong personality are some qualifications that an astronaut should have. For any other job on Earth, you need to a college degree and some prior experience, but that’s not nearly enough for a job 250 miles above Earth. You must have certain personality traits such as rationality and the ability to truly work as a member of a team. Plus, you must have perfect coordination, memory, concentration and technical knowledge. Astronauts have to stay composed in case of fire and they must have the right responses in extremely stressful situations. That’s why becoming an astronaut is not easy at all.